As new rules and regulations are being proposed for payday loans, lenders are shifting their focus to installment loans. 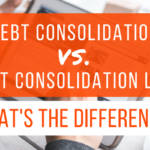 While the two loans have their differences, they both have one key similarity ­ they result in the borrower winding up deeply in debt. Nick Bourke, Consumer Finance Project Director for Pew noted that by simply converting to installment loans, that doesn’t mean individuals will be able to afford them. “They can still have dangerous interest rates and fees,” he said. 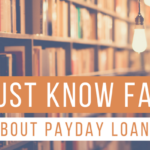 So, before you decide to turn to installment loans over payday loans, make sure you understand what you’re getting into. Is a short­ term loan, typically ranging from $100­ $1,000. Can have fees and interest of up to 400% APR. Has a minimum loan period or term of usually 12 months or more. Some installment loans even require you to opt for a 2­ year installment scheme in order to qualify for the loan. Cannot typically be settled/repaid early without incurring a large Depending on the lender you are working with, you may even be required to pay the full interest calculated to the end of your loan’s term. Is typically secured by personal property. Despite their differences, installment loans are designed with high interest rates and fees and long­term loan plans that trap the borrower in debt, just like payday loans. 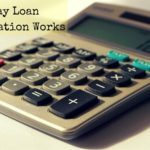 With payday lenders shifting their focus to installment loans to avoid the new regulations, these loans are now being promoted as the next best option. They’re not. The cost elements of installment loans make them very expensive options, as well. Payday lenders are disguising themselves with installment loans. You’re still paying the same amount and wind up in the same debt trap; it just has a new name. Be aware of what’s out there and what loans you’re considering. Protect yourself and your finances. If you’re already overwhelmed by the payday loan debt trap, contact us today. We can help!